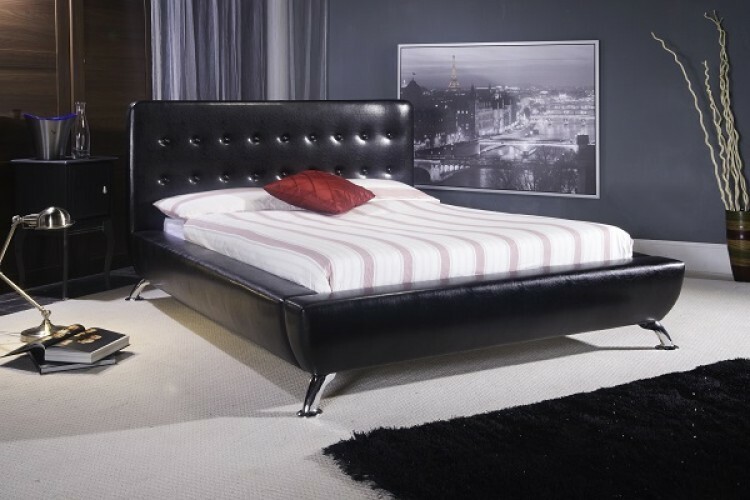 This beautifully styled bedstead in black faux leather with chic chrome feet strikes the right balance of both retro and modern look. Attractive curved design on the padded headboard and footboard. 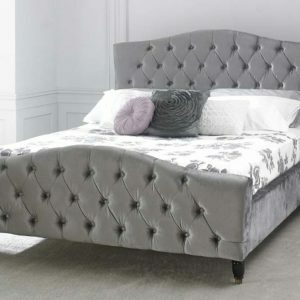 The bed has a design feature that allows the mattress to fits into the frame. Sprung slatted base to give extra comfort.